Yes, things have changed for students. No, I could not have predicted these changes just two short years ago. 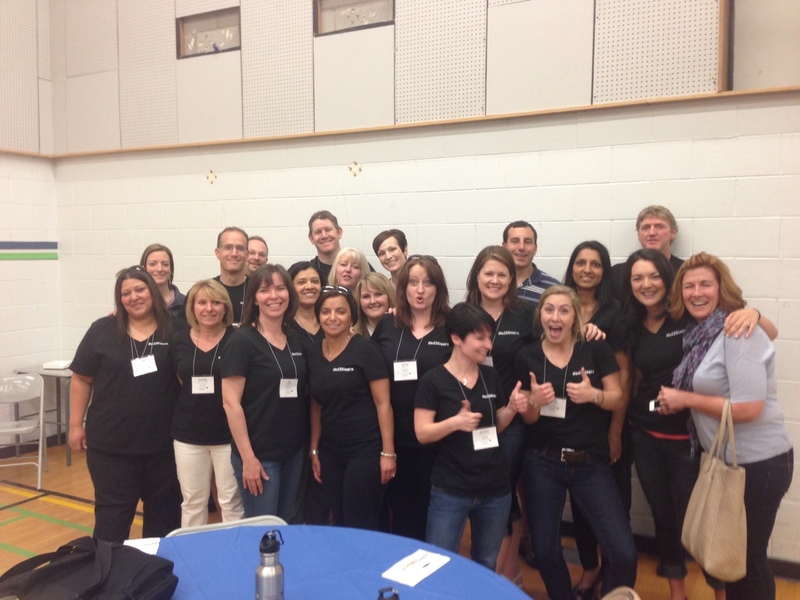 Over 30 educators from Surrey attended the recent #ConnectEDca conference in Calgary. That’s over 10% of attendees. There is an obvious thirst for learning and sharing. I have NEVER been connected to more administrators and educators as I am today. These people both validate and make me question what I do. Home-School Communication has been enhanced. Parents are reading the school blog and following our school Twitter feed. At a recent parent event I shared the Vanier News (our school blog) and asked how many parents had visited the site. I was amazed when probably 75% of parents put their hands up! 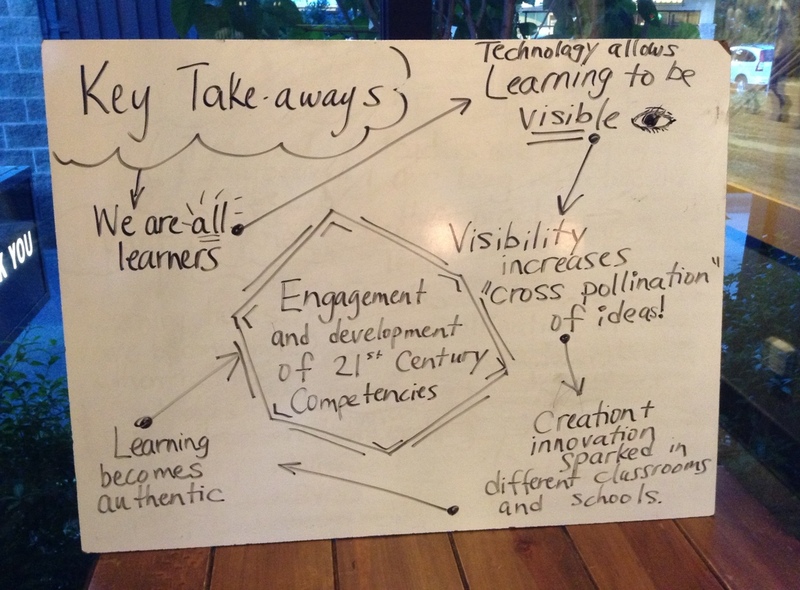 Teachers are venturing off (virtually and physically) to other schools and bringing back innovative practice. There is definitely a “cross-pollination” of ideas taking place. Teachers are increasingly open to change and new ideas now that the world of teaching and learning has been opened to them. 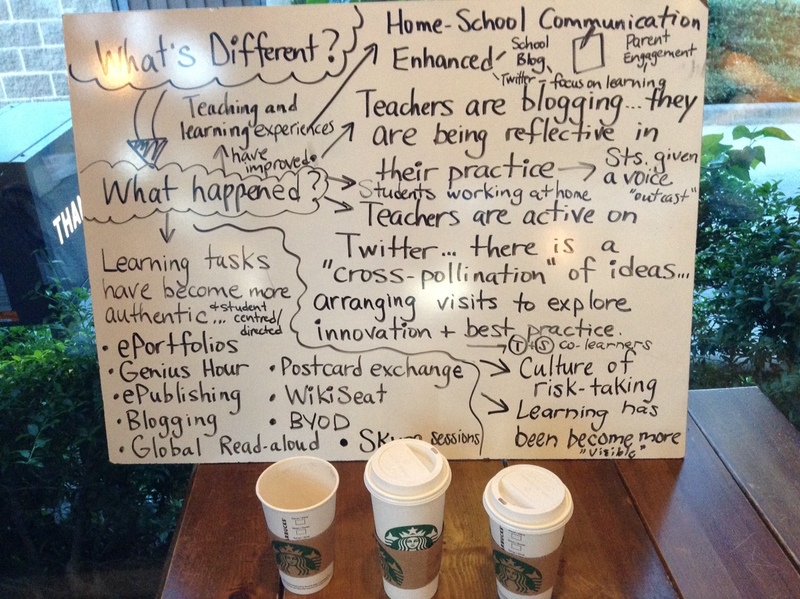 Teachers are becoming increasingly reflective via blogging. It is now cool to reflect, blog, and share. Since there is technology in each room, it has become “invisible” with the focus being on authentic learning experiences. So as I look back and look ahead, I am amazed and excited. Amazed at the growth that has taken place in our students. They are excited about learning. Many arrive early most mornings. A teacher who recently had her students start blogging (which was a HUGE leap for this teacher) shared excitedly with me one morning that many of her students wrote a blog the previous evening, even though it was not assigned. Students writing? Because they want to? How could this be? It’s happening! I am excited because teachers are now not only excited about their student’s learning, but their own learning as well. The most significant aspect of our ILD journey has been, and will continue to be, the growth in the adults in our building. For truly when teachers become co-learners with students and are open to risk-take with opportunities that promote innovation, creativity, and doing authentic work, then the journey will be a grand one for all. I would like to personally thank Elisa Carlson for her drive, determination, and support in moving so many educators forward in the Surrey School District. She was the first one to give me the confidence to share my views, learning, and understanding. Elisa, thank you for valuing those around you and for asking the difficult questions that needed to be asked!